During the 11th edition of the OPEN DAYS: European Week of Regions and Cities in October 2013, the Committee of the Regions and the European Commission called on the European Council and Parliament to urgently finalise the adoption of the EU budget 2014-2020 and the new rules for structural funds. Regions and cities were also able to present the results of their 2007-2013 EU-funded programmes and projects, showcasing the impact these have on regional development, such as contributing to smart, sustainable and inclusive growth. More than 6000 participants attended the diverse events during the week. 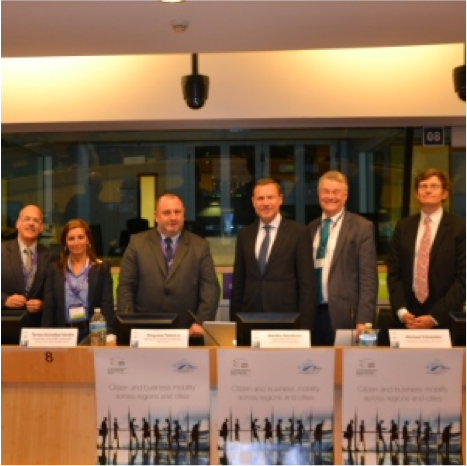 One of these events was the CoR/EPP workshop on “Citizen and business mobility across regions and cities” on Wednesday, 9th October 2013. 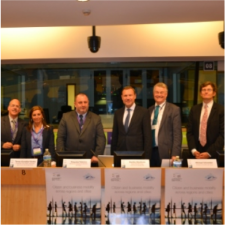 This workshop highlighted the importance of mental mobility as well as physical mobility, and the need for the free movement of ideas as well as people, goods and services to co-create a truly innovative Europe. Free movement across borders is at the very basis of a single market and one of the foundations of the European Union. The workshop signalled that. despite the many benefits of the EU single market, more can be done. To reach this potential, participants called for a 5th freedom: the freedom for the movement of ideas. Europe needs to look beyond a sense of urgency; a sense of opportunity – and a culture of opportunities – is needed. This entry was posted on 22 January 2014 at 16:30	and is filed under [General], Co-creating Europe, Opportunity Enrichment.